Bengaluru: Recent entrant and Congress rebel law maker Umesh Jadhav will take on Congress leader in Lok Sabha Mallikarjun Kharge from Gulbarga as the BJP announced its list of 21 candidates for the two-phased Lok Sabha polls in the state. Two other new entrants from the Congress A Manju, a former MLA, and his party colleague Devendrappa, both of whom joined the BJP recently, have been rewarded with tickets to contest from Hassan and Bellary, respectively. Fourteen of the 21 candidates announced are sitting members. The names of the candidates for Karnataka were part of the first list of 184 nominees for Lok Sabha polls announced by senior BJP leader JP Nadda in Delhi Thursday evening. The state has 28 Lok Sabha seats, of which the BJP had bagged 17, Congress 9 and JDS 2 in the 2014 Lok Sabha polls. The BJP had yielded Ballari seat to Congress in the November bypolls. Jadhav, a former Minister, joined the BJP at a party rally in Kalaburagi on 6 March, two days after he quit the Karnataka Assembly membership, at a rally addressed by Prime Minister Narendra Modi. 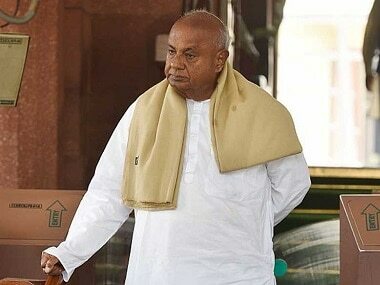 Jadhav, who was sulking after being dropped as minister, had on 4 March submitted his resignation from the Assembly to Speaker Ramesh Kumar. However, Jadhav's resignation as MLA has not yet been accepted by the Speaker, who is also yet to decide on the disqualification petitions filed by the Congress, against him. Manju, joined BJP on Sunday, unhappy with Congress' decision to cede Hassan seat to its coalition partner JD(S). and becoming Minister in the previous Siddaramaiah led government and again returning back to the saffron party. 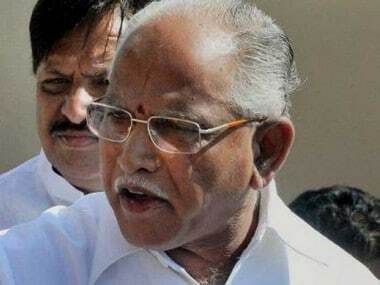 Union Ministers DV Sadananda Gowda from Bangalore North, Ramesh Jigajinagi from Bijapur and Ananth Kumar Hegde from Uttara Kannada, as also BY Raghavendra, son of former chief minister BS Yeddyurappa from Shimoga, have been renominated. 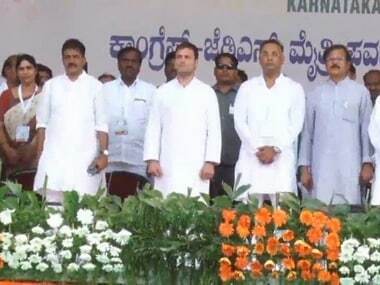 Other candidates whose names have been announced by the party are, Suresh Angadi (Belgaum), PC Gaddigoudar (Bagalkot), Bhagawanth Kuba (Bidar), Shivkumar Udasi (Haveri), Prahlad Joshi (Dharwad) and Siddeshwara (Davangere); Shobha Karandlaje (Udupi-Ckikmagalur), Nalin Kumar Kateel (Dakshina Kannada), Narayana Swamy (Chitradurga), Basavaraju (Tumkur); Prathap Simha (Mysore), Srinivasa Prasad (Chamarajanagar), PC Mohan (Bangalore central) and Bachche Gowda (Chikkaballapur). BJP is the first to announce its list of candidates, while the Congress and JD(S) are yet to finalise their list with confusion still prevailing over some constituencies following opposition at the grassroot level over conceding the seats. Congress workers in Mandya, Tumkur and Hassan are miffed with the party for conceding the seats to JDS. 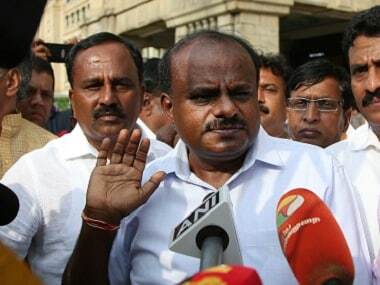 The Congress and JD(S) that have decided to fight the polls in alliance will contest for 20 and 8 seats, respectively. 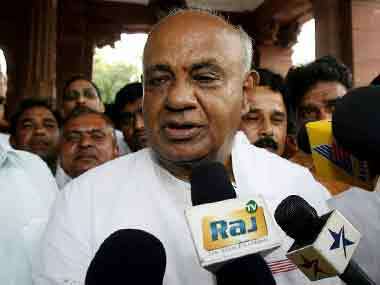 Karnataka will go to the polls in two phases, 14 constituencies each, on 18 and 23 April.